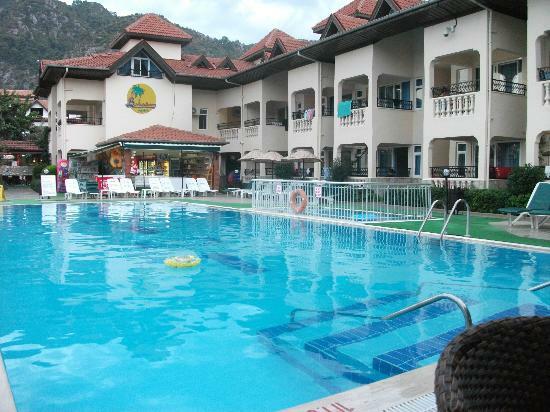 Babadan Hotel Marmaris is located near the city center of gorgeous Icmeler. With easy access to the nearest golden beach and beautiful views of pine tree forests and magnificent mountains, this lovely hotel guarantees one fun and relaxing vacation. 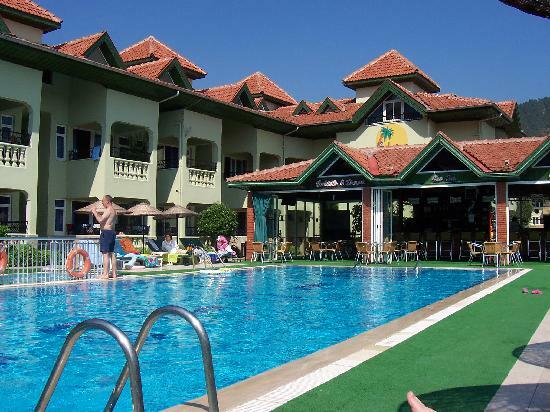 Within its grounds, Babadan Hotel Marmaris has two impressive fresh water pools, with comfy sun loungers and parasols, set on the poolsides. There is also a big open bar and a homey and welcoming restaurant. Restaurant serves a wide array of traditional Turkish dishes, as well as other more common restaurant food. If you’re up for an adventure, you can always take a stroll to the nearby city – Marmaris, or exchange the comfort of the poolside, for the benefits of a sandy beach. The choices are numerous when your hotel is so conveniently located. 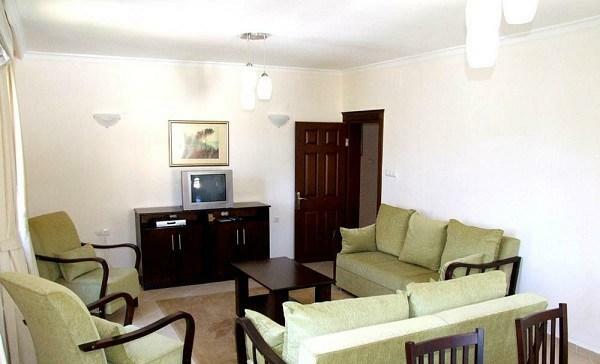 During the day guests can also unwind in the TV lounge, or in their own rooms as all of them have air conditioning. There are also free Wi-Fi zones, non-smoking rooms and tanning studios. Babadan Hotel Marmaris also offer the easy currency exchange service and the safety deposit box for your valuables.